Cavan made it seven wins from their seven Division Three games with Saturday's 0-18 to 0-14 victory over Limerick at the Gaelic Grounds. The Breffni team had already secured promotion but they maintained their excellent form in Limerick. Eugene Keating and David Givney were among the Cavan scorers as they went in 0-8 to 0-7 ahead at the break. 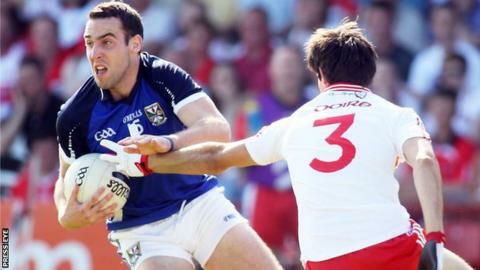 The game remained close before Cavan slotted over the final three points to seal another win. John Galvan fired over for Limerick to make it 0-15 to 0-14 with seven minutes remaining. However, Cavan snuffed out Limerick's hopes with late points from Gearoid McKiernan, Damien O'Reilly and Michael Lyng.